When reading an article about how to make google reader work with authenticated feeds, one big flaw behind all those web 2.0 services sprang to my mind: Authentication. I know that there are efforts underway to standardise on a common method of service authentication, but we are nowhere near there yet. Take facebook: They offer you to enter your email account data into some form to send an invitation to all your friends. Or the article I was referring to: They want your account data for a authenticated feed to make them available in google reader. For your service provider to be able to interact with that other service, they need to store your passwort. Be it short term (facebook, hopefully) or long term (any online feed reader with authentication support). They can (and do) assure you that they will store the data in encrypted form, but to be able to access the service in the end, they need the unencrypted password, thus requiring them to not only use reversible encryption, but to also keep the encryption key around. Do you want a company in a country whose laws you are not familiar with to have access to all your account data? Do you want to give them the password to your personal email account? Or to everything else in case you share passwords? People don’t seem to get this problem as account data is freely given all over the place. Efforts like OAuth are clearly needed, but as webbased technology, they clearly can’t solve all the problems (what about Email accounts for example). But is this the right way? 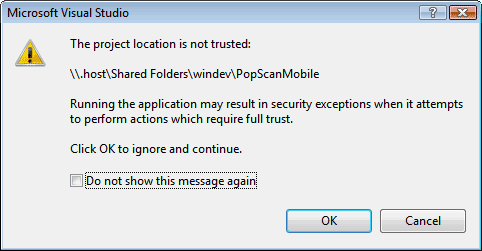 We can’t even trust desktop applications. Personally, I think the good old username/password combination is at the end of its usefulness (was it ever really useful?). We need new, better, ways for proving our identity. Something that is easily passed around and yet cannot be copied. SSL client certificates feel like an underused but very interesting option. Let’s make two examples. The first one is your authenticated feed. The second one is your SSL-enabled email server. Let’s say that you want to give a web service revokable access to both services without ever giving away personal information. For the authenticated feed, the external service will present the feed server with its client side certificate which you have signed. By checking your signature, the authenticated feed knows your identity and by checking your CRL it knows whether you authorized the access or not. The service doesn’t know your password and can’t use your signature for anything but accessing that feed. The same goes for the email server: The third party service logs in with your username and the signed client certificate (signed by you), but without password. The service doesn’t need to know your password and in case they do something wrong, you revoke your signature and be done with it (I’m not sure whether mail servers support client certificates, but I gather they do as it’s part of the SSL spec). Client side certificates already provide a standard means for secure authentication without ever passing a known secret around. Why isn’t it used way more often these days? ver since I’ve seen the light, I’m using git for every possible situation. Subversion is ok, but git is fun. It changed the way how I do developement. It allowed me to create ever so many fun-features for our product. Even in spare-time – without the fear of never completing and thus wasting them. I have so many branches of all our projects – every one of them containing useful, but just not ready for prime-time feature. But when the time is right, I will be able to use that work. No more wasting it away because a bugfix touches the same file. The day I dared to use git was the day that changed how I work. Now naturally, I wanted to use all that freedom for my windows work aswell, but as you know, git just isn’t quite there yet. In fact, I had an awful lot of trouble with it, mainly because of it’s integrated SSH client that doesn’t work with my putty pageant-setup and stuff. So I resorted to storing my windows development stuff on my mac file system and using VMware Fusion’s shared folder feature to access the source files. 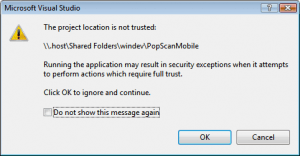 I didn’t even try to find out what happens when I compile and run the project from there, so I pressed F1 and followed the instructions given there to get rid of the message that the “Project location is not trusted”. I followed them, but it didn’t help. I tried adding various UNC paths to the intranet zone, but neither worked. Windows treats host names containing a dot (.) as internet resources. Hostnames without dots are considered to be intranet resouces. celeswindev worked in mscorcfg.msc because celes, not containing a dot, was counted as an intranet resource. .host contains a dot and this is counted to be an internet resource. This means that to make the .NET framework trust your VMWare shared folder, you have to add the path to the “Internet_Zone”. 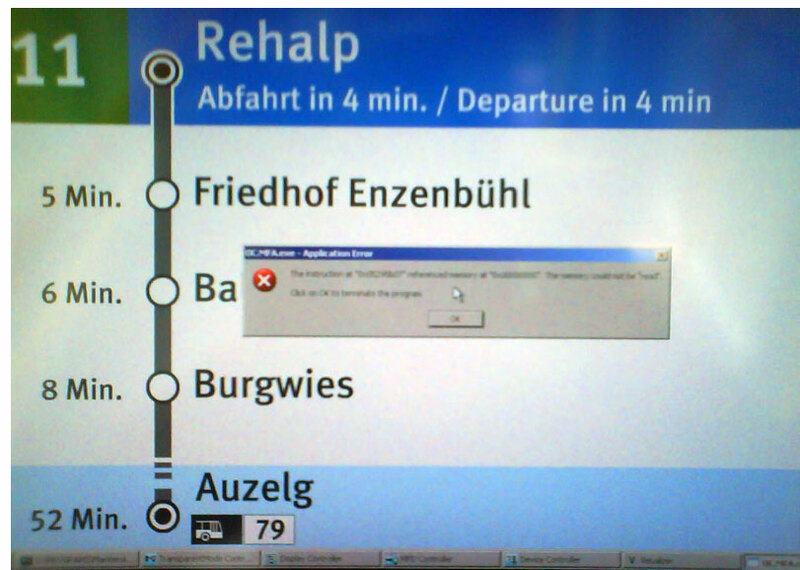 Not the “LocalIntranet_Zone”, because the framework loader doesn’t even look there. Once I’ve changed that configuration, Visual Studio complained that it was unable to parse the host name – it seems to assume them not starting with a dot. This was fixed by mapping the path to a drive letter like we did centuries ago. Time Machine now also backs up my Windows Work which I had to do manually until now. Very nice indeed, but now back to work (with git :-) ). 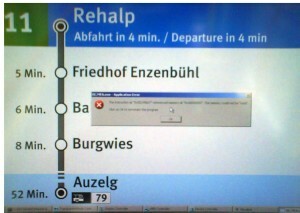 The trams here in Zürich recently were upgraded with a really useful system providing an overview over the next couple of stations and the times when they will be reached. If I was tasked with implementing something like this, I’d probably use Linux in the backend and a webbrowser as s frontend. That way it’s easier to debug, more robust and less embarassing if it blows up. clitest.sh is a small little wrapper around wget which I use to do protocol level debugging of the PopScan Server.